Sitting stylishly at the Meloneras Coast in Maspalomas, Hotel Riu Gran Canaria is an exotic all-Inclusive hotel that offers a host of amenities to the guests keeping them engaged and happy. 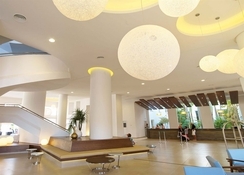 One of the best hotels in Gran Canaria, the seafront Hotel Riu is perfect for families and group travellers. With more than 600 well-equipped rooms and suites, you don’t have to worry about anything, as all your needs and desires are well taken care of. The hotel comes with a selection of 3 sparkling pools for adults and 2 kids’ pools with water slides, moreover, 4 themed restaurants serving everything from Chinese, Asian and Italian to local specialities. But that’s not it, the hotel boasts a plethora of activities and entertainment for all age type, from sports and art classes in day time to live shows at night. Beach lovers can get their fill at the Maspalomas sand dune beach, which is just a stone’s throw away from the hotel. 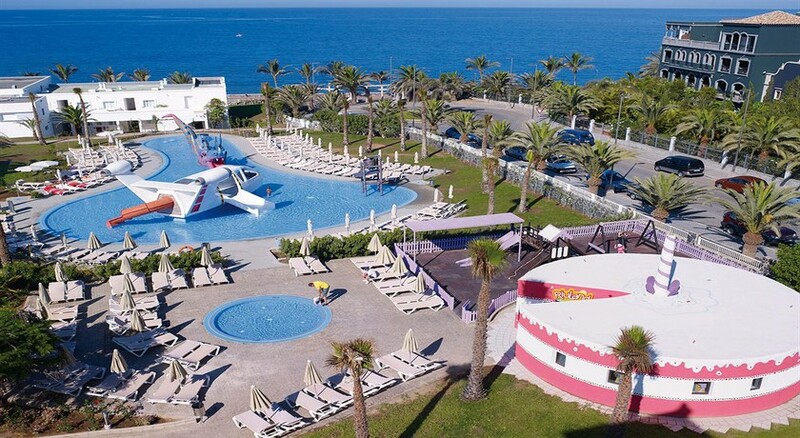 Hotel Riu Gran Canaria is a popular choice among families travelling with their little ones and large travel groups. 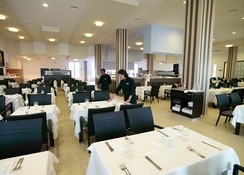 The hotel’s location makes it even more desirable for beach lovers as there is a direct access to the beach from the hotel, while the famous Playa del Ingles is about 7 km from the hotel. And if you are seeking for something extra, then explore the neighbouring cafes, bars, restaurants, shopping centres, museums and theatres, all within 200 metres of radius. Yumbo Centrum is 5 km from the hotel from where you can buy branded as well as local goods. The hotel features 639 rooms and suites, each comes with a stunning ocean views, pretty interior and all the basic amenities like mini fridge, satellite TV, safe deposit box, en-suite, telephone and more. Housekeeping and fresh towels are provided daily, while sheets are changed every alternate day. Room service is available round the clock. The adults-only swim-up suites come with private pools. 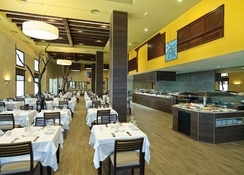 There are 4 amazing restaurants in the hotel, where you can savour some excellent Asian dishes, especially at Kaori, but if you want to have some nice grill food, then try the pool area, where you will also find bars to try some interesting cocktails and great appetizers. The hotel has a number of lounge bars, terrace bar and cocktail lounges. Other than that, explore the neighbouring bars, restaurants and cafes, serving from Asian and European to local specialities, all within 200 metres of radius. 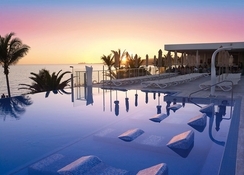 Staying at the Hotel Riu Gran Canaria hotel will offer plethora of option for sports and entertainment for everyone. There are a wide variety of activities planned for every age type, from live shows to the lively nightlife at the nightclub and the art workshop for the creative ones. In addition, kids can enjoy various games and contests at the kids' club. The hotel offers 3 swimming pools for adults and 2 kids’ pools with water slides. In addition, there’s a gym, wellness centre and sun terrace. the beach is very close to the hotel and offers a range of water sport activities.